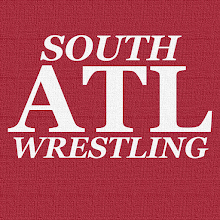 South Atlanta Wrestling: Did WWE Need To Create The WWE Universal Championship? Did WWE Need To Create The WWE Universal Championship? There's been a ton of discussion about whether creating the WWE Universal Championship for Raw was a good decision or not. This type of debate has raged on since WWE created their World Heavyweight Championship as represented by Big Gold back in 2002. The creation of this new title is already much more effective simply because they are actually having matches to determine the champion as opposed to grabbing it out of a briefcase and handing it to someone. That said, the announcement confirmed what many had anticipated and probably more had feared. That is we are in a WWE that has two "top" titles again. To be completely honest, I am fine with that. Before I get into why I am fine with this I would like to acknowledge the dissenting view here. Mostly it boils down to the idea that having two championships devalues the WWE World Championship as well as the newly created title. The idea being that a single company should have a single top belt. I see where this mentality comes from, and I've read the proposals where they either elevate the US and IC Championships to the top of each brand, and have a WWE World Champion that floats between all three brands (they are including NXT of course). The idea being that you're essentially replicating the old NWA traveling champion deal. I never had a problem with the creation of the second top strap in WWE. To me, it made each show more interesting. Even when the split ended I still had no issue with it. WWE has more than enough talent to support the two top championships. One thing I like about it is that you get some variety from the deal. If you're disgusted with John Cena as WWE Champion then maybe you can hook your wagon to Daniel Bryan as World Heavyweight Champion and so forth and so on. Another aspect of it that I like is it gives each brand a focus instead of it feeling like folks are spinning their wheels until the WWE World Champion is freed up to appear on their show. Lastly, it makes the brand split feel more real for lack of a better term. So long as you have a WWE World Champion floating between shows the shows will feel related to one another. By having a top guy on each side you get more of a self-contained vibe. The bonus is you have some banter between the shows like we got the other night where SmackDown was crowing about having the undisputed WWE World Champion. I am happy with the new championship being introduced. I don't love the WWE Universal Championship name, but I'm sure it will grow on me. I only hope that the new belt itself looks sharp. Honestly, as far as prestige goes, the championship that doesn't have a belt and hasn't yet crowned a champion comes off as the more important one right now. Once we have a second top title again for a while, I don't think it will be that big a deal either. We will enjoy the title matches and feuds for both championships and everything will be fine. Having a single top belt has never been a hang up for me and I'm glad to see the new one introduced.